I’ve been reading through the book of Esther just recently, and it’s a fantastic book. It tells the story of Queen Esther, an exiled Jew who was made queen by King Xerxes. It came to a time when Haman, an Agathite that the King had elevated, took exception to Esther’s uncle, Mordecai, because he refused to bow down in Haman’s presence. So incensed was Haman that he decreed, via the King that all of the Jews were to be destroyed, killed and annihilated on a certain date. Esther didn’t know what would happen. She knew that it was death for anyone who approached the King without an invitation. 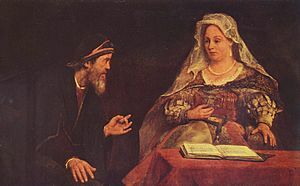 We don’t know what happened during those three days, apart from all the Jews in Susa, plus Esther and her maids fasting, but you would have to assume that Esther did a lot of thinking and planning. And the rest of the Jewish people were praying for her, for their lives depended on it. Through setting themselves apart, for time to listen to God, and honor God, Esther had the strength and courage to do what was required, and she had the knowledge to do what was required. Whenever we are setting out on a course of action, these two things should be the first steps. Prayer, and planning. Through prayer, we can commit our actions to God. We can also determine what is the right course to take – and sometimes whether this is the right course at all. And it is through Prayer that we are lead to the next step – Planning. Without a steadfast plan in place, our actions will fail. And it is through prayer that the right plan will come into being. So before you do anything, no matter how big or small, take a step back and pray first. Then plan how it is going to work, and commit the plan to God through prayer.